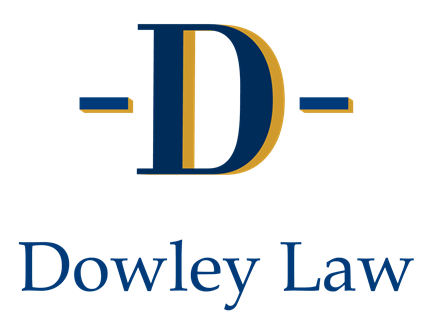 Estate Planning and Asset Protection | Dowley Law, P.C. We can create or update your estate plan to declare your wishes and guide your loved ones in the event of death or incapacity. We also explore the most advantageous strategies to limit estate taxes, avoid probate and shelter inheritance from creditors. Our experience and expertise enables us to consider the tax consequences of probate, succession, gifting, real estate and trust transfers that impact your legacy. (Maybe have a link on each type of document to the descriptions on the next page. The health care proxy gives your appointed agent the power to make health care decisions on your behalf if it is determined that you are unable to make or express such decisions on your own. The health care proxy also includes HIPAA releases for your agents. Health Care Proxies are extremely important if it becomes necessary to make decisions concerning medical procedures and end-of-life decisions. The Health Insurance Portability and Accountability Act of 1996 (HIPAA) contains privacy regulations which require every physician, dentist, nurse, pharmacist, laboratory, and health care provider to limit access to confidential medical records and information. In order for your family members, including your spouse, friends, and/or designated health care agents to obtain individually identifiable health information about you, you must specifically authorize disclosure to these people. The Durable Powers of Attorney allows your appointed agent (known as an “attorney-in-fact”) to take legal action with regard to your property. Accordingly, it permits your agent to manage your personal and business affairs on your behalf without first having to obtain a court appointment. Examples of acts your attorney-in-fact may perform include accessing your bank accounts, paying bills, managing your investments, and selling real estate. Your Power of Attorney is effective upon signing and is valid until death or revocation. Your will is a legal document by which you designate the persons who will receive the assets you own. A will is also the instrument used to appoint legal guardians for your minor children. Without a Will, state laws determine your legal heirs and distribution of your assets. In your Will you may select a Personal Representative to administer your estate, a Trustee to manage any funds to be held in trust beyond your death, and a Guardian to care for minor/disabled children. Assets which pass through your Will include any and all assets that are held in your individual name at your death or which designate your estate as beneficiary. Any assets which have co-owners or named beneficiaries at your death are not controlled by the terms of your Will. There are many types of trusts that can be used to benefit you and your heirs and provide asset protection from creditors and taxes; these including living, testamentary, revocable, irrevocable, realty trusts, and supplemental needs trusts. A trust can be a part of your estate plan to help avoid probate, to provide for the management of property beyond your death, to save taxes, to protect assets, or preserve benefits a family member may be receiving.